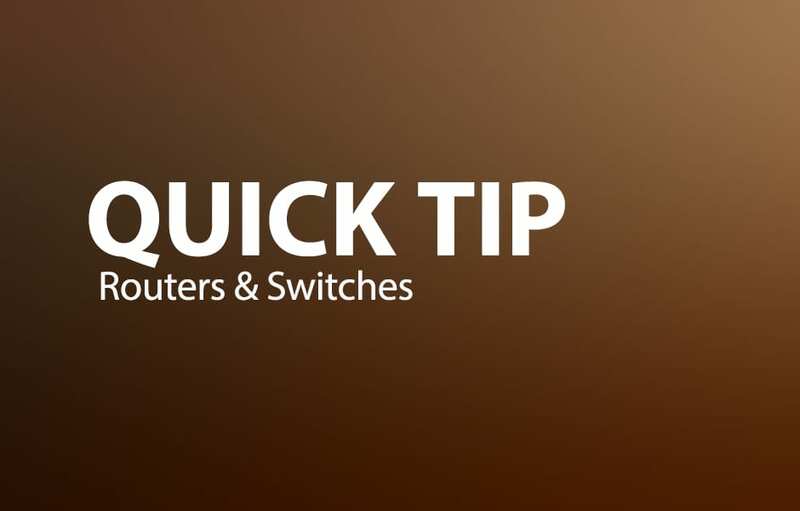 Quick Tip: Routers & Switches today if you would like a more detailed understanding of how your network operates. Switches are used to connect multiple devices on the same network within a building or campus. For example, a switch can connect your computers, printers and servers, creating a network of shared resources. The switch, one aspect of your networking basics, would serve as a controller, allowing the various devices to share information and talk to each other. Through information sharing and resource allocation, switches save you money and increase productivity. There are two basic types of switches to choose from as part of your networking basics: managed and unmanaged. A managed switch allows you access to program it. This provides greater flexibility to your networking basics because the switch can be monitored and adjusted locally or remotely to give you control over network traffic , and who has access to your network. Contact IT Solutions today if you would like a more detailed understanding of how your network operates.